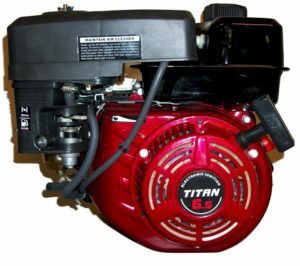 The Clone or Chonda engine is a copy of another engine that is made in a country that has a cheaper labor component that use a majority of unskilled labor that workers are not covered by an award, workers work for a minimum wage, have no work entitlements, no unions, minimal or no quality control, that produce copies of parts or engines designed by other manufacturers that look the same. The big question is are they made of the same material, have they under gone many hours of testing & development ? 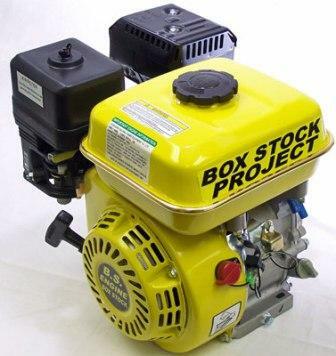 have rotating parts been tested & spun at high rpms for extended periods of time. These engines when used for what they were designed for can work ok. 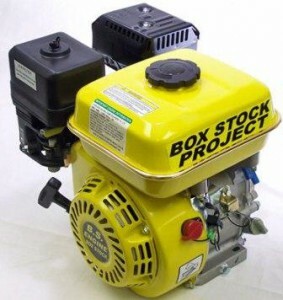 They were copied for low revving lawn, garden & commercial engines to run pumps, & once the governor has been removed and they are used at high rpm with standard conrods, valve springs, flywheels and non graded soft bolts you have your self one dangerous package that could self destruct at any time. 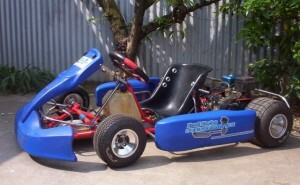 When considering the cost of getting a clone engine for use or a gokart or any other type of racing application by the time the components like flywheel, conrod, valve springs, collets, retainers & crankshafts are replaced to bring the engine to a safer standard like purpose built racing engines like the Animal & World Formula there are still other parts of the engine that were not designed to be pushed to the limits.Engine blocks & cylinder heads that dont have thicker ribs to handle the additional loads, forces and stress that racing engines are subject to. Do the sums the Animal & World Formula are supplied with reinforced blower housing, billet aluminium flywheel, squeeze cast or billet conrod, forged crankshaft, high quality bolts, high quality valves & valve train components, dedicated tooling for motor sport engine blocks and cylinder heads. Blue 6.5 Horse Power Clone same look just different color. The valve springs on Honda Gx160 & GX200 are designed to be ran on an engine with the standard factory govenor set up.When removing the govenor to get the engine to run harder there are a few things that will need attention. The standard valve springs dont have enough tension or open pressure to be run up to 5000 rpm. The standard cast iron can also fail when the engine is pushed to higher RPMs. If you are going to modify your Honda engine it is very important as a safety issue to replace the flywheel with a billet flywheel that can with stand higher RPM & engine load.There are many after market valve springs available & a good choice is the factory Gx140 Honda valve springs. The Honda GX140 valve springs are used in many modified Honda engines,Another problem when valve springs loose tension is that at any RPM the valve can float & the whip that can occur with valve float can cause the valve to pop out of the retainer & the valve drops straight into the cylinder. Always check valve springs & retainers for signs of wear.Check the pushrod ends & if there is any signs of wear replace them. The Honda GX Rocker arm is a good strong design and do not cause many problems. valve clearances on the GX Honda engines are to .004″ inlet and .008″ exhaust when the engine is cold. 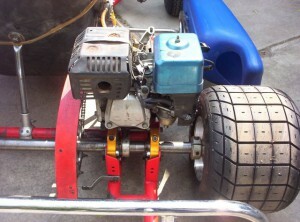 The exhaust valve clearance is set wider than the inlet valve due to the heat of the exhaust gases as the expansion is greater on the exhaust valve than the inlet valve. When the valve clearances are set cold it is a good idea to run the engine to operating temperature if you recheck the clearances you will notice that the clearance is greater than when they were set cold. 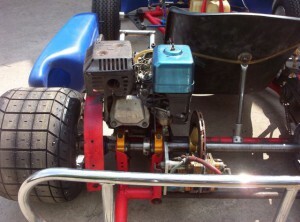 Let the engine cool then recheck the clearances to the original settings. 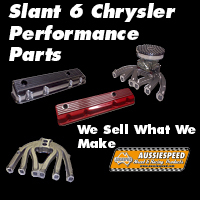 Aussiespeed Small Engine Performance have spent many hours on the flow bench testing and finding better port & manifold shapes & sizes to increase performance on many different cylinder heads, carburettor bore sizes, air cleaners and inlet manifolds. 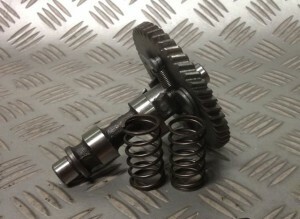 With the hours spent it allows us to understand what works best with different camshaft profiles & maximum valve lift on certain engine combinations. We try to increase velocity & flow at low lift & also get the benefit of maximum flow at high lift. 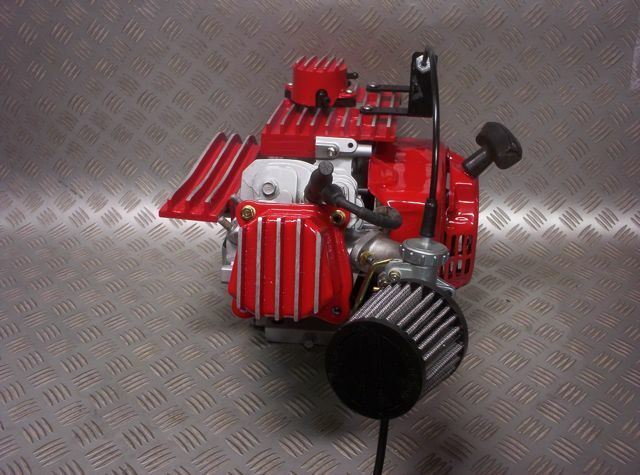 Small Engine Performance have a range of stock replacement steel cams as well as Evil Stick performance grind camshafts, valve springs & valve locks for clone engines. 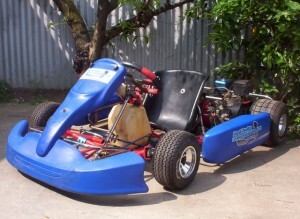 Small Engine Performance Australia recently purchased a retired Honda powered PCR twin engine gokart. 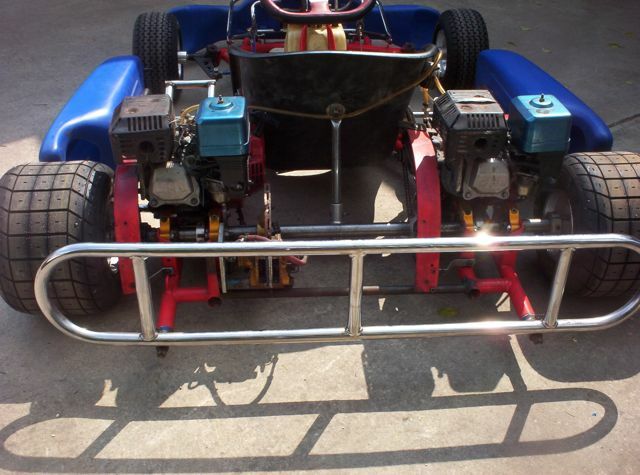 The Twin engine kart had been used to race in the TEKA endurance series.With the purchase of a twin engine kart will allow us to develop & test more products as dirt track puts karts & parts under more stress due to the rougher track conditions. The rear picture shows a sideways view of the twin Honda Powered go kart. 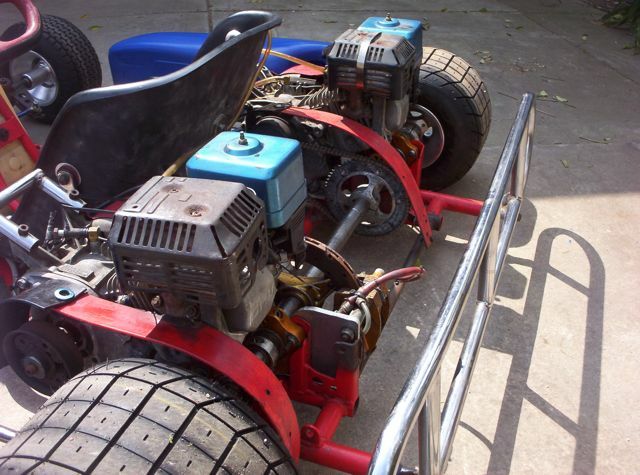 The PCR will soon be fitted with 2 Briggs & Stratton Animal engines. Honda GX engine owners we offer the Aussiespeed alloy valve cover to suit Honda GX140,GX160,GX200 & Honda 6.5 horse power engines as used on go karts, mini bikes & barstools this tall old school Australian made valve cover will clear big springs, roller rockers & can be fitted with a breather fitting to pulse the fuel pump. Available in a raw satin finish or polished aluminum. 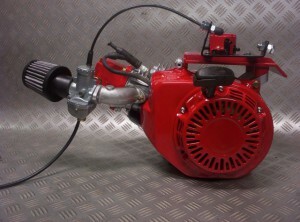 Honda Complete alloy engine kit suit GX160 & 200cc engines. 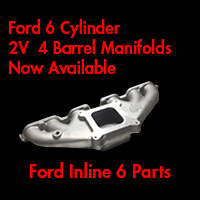 includes top plate, valve cover, fuel pump cover & clutch cover.